Executed creative for a fresh visual center to be implemented in all factory retail stores. 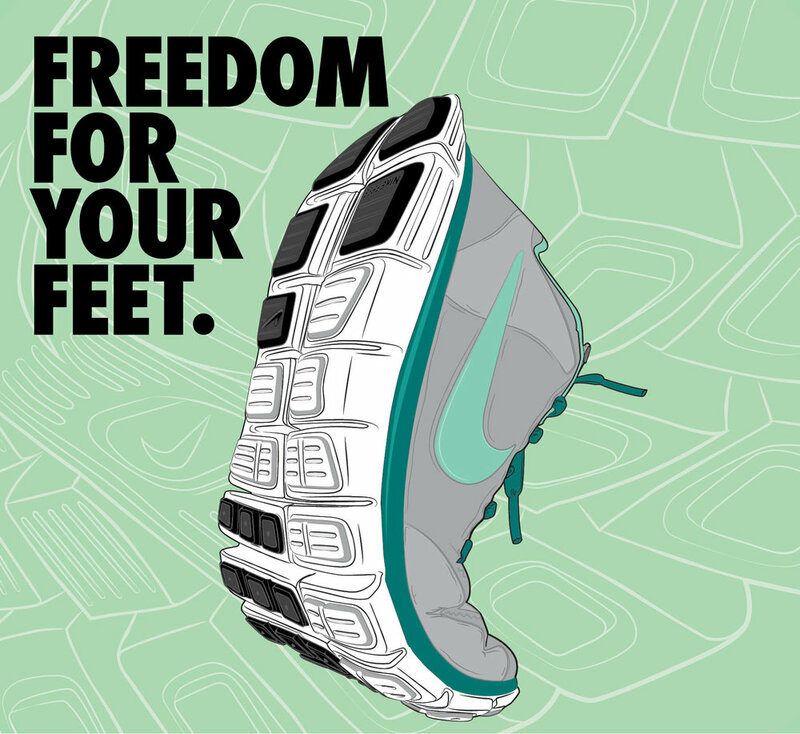 I took original photos of the Nike FREE shoes and illustrated them to be stylized representations of the hero product. This project consisted of concept development, original illustrations, type lockups for the display walls, shoe talkers, and 3-D callouts for production. I also collaborated with the visual merchandisers to create complimentary color schemes.